After a rain drops remain on an outdoor tennis net. An anchor elevates the net under tension almost as if to prevent it from laying in the residual water. 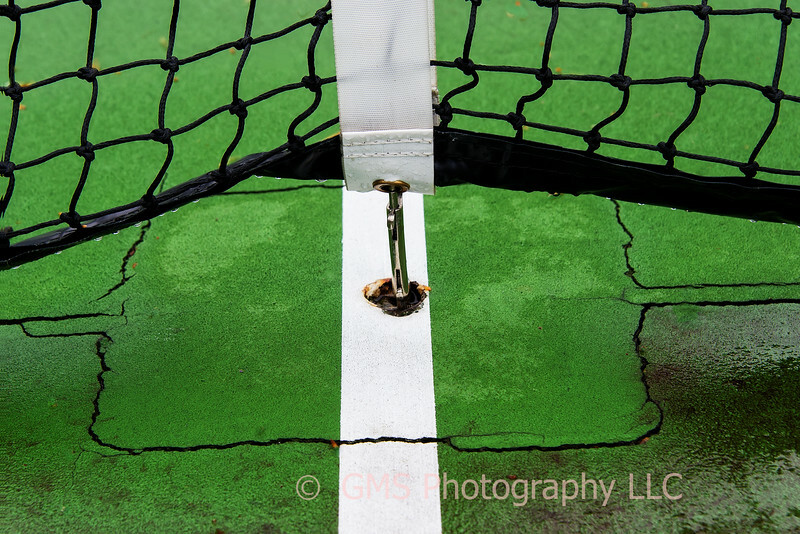 Cracks in the tennis court form interesting frame around center court boundry line and white tape that connects the net to the tennis court.